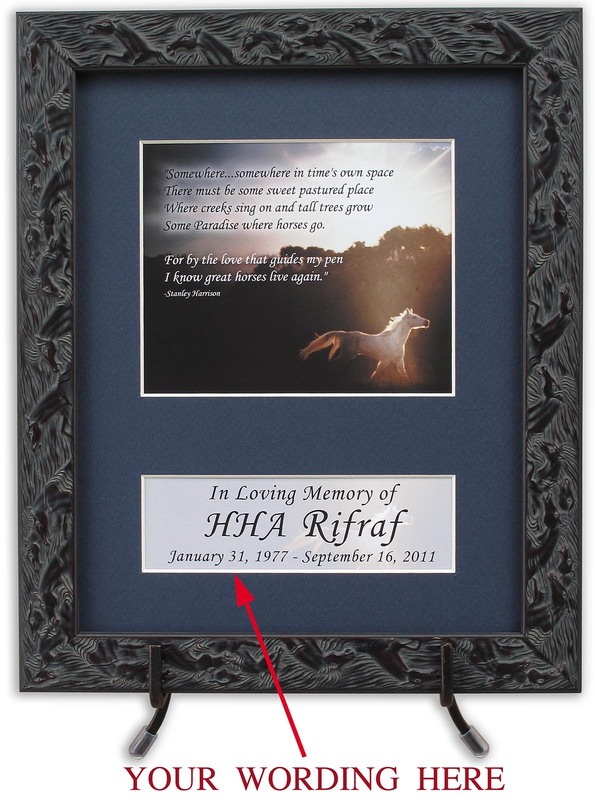 This is a special edition of this memorial verse that I had made up with Embossed Horse Frame Stock. The frame is wood, overlaid with carved horse heads and finished with an antique effect. It's a deep burgundy color, almost black, with greyish wash highlights. The frame stock is discontinued and we have a limited number in stock, so once they are gone there will be no more.